Compared to other towns across the world, Millburn is very wealthy. From daily meals to school supplies, some kids out of the MMS population may take things for granted. When many think of need, food, shelter and other essentials are often the first to come to one’s mind. But there are everyday needs beyond those; items that may be seen a regular, but for some populations are a luxury. And because of social norms, feminine hygiene products such as tampons or pads are not highlighted as necessities, but the need is there. Luckily, there are some individuals at MMS who are trying to help. 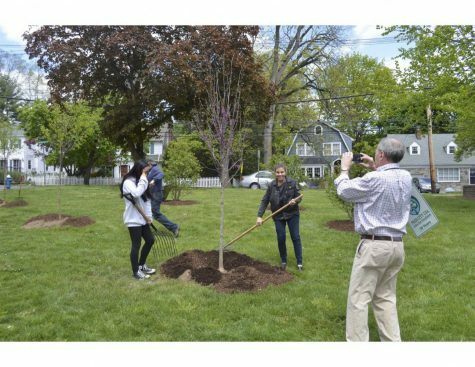 Girl scout groups are prominent across the nation, and there is even one in Millburn. Troop 20209 began in kindergarten, and many members have remained active since. As they continue on their journey as being girl scouts, they must complete certain awards. 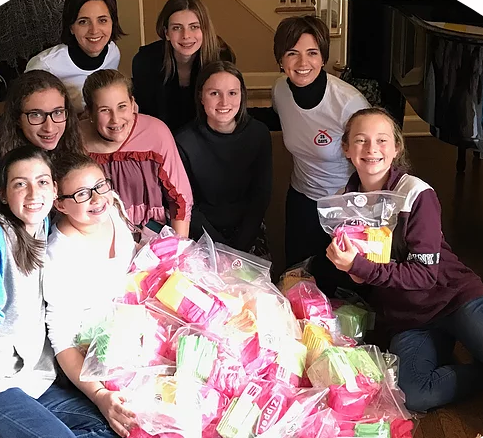 For this troop’s silver award, they asked for donations across the world to help supply female hygiene projects in school, preferably in middle school. To get their silver award, they must have a successful project, and everyone in the troop must work fifty hours on it. “Around the world, women and girls share a common situation that occurs once a month: menstruation. Some of these women don’t have access to the products they need” (Sister to Sister Period). Their website, http://www.sistertosisterperiod.org/, goes into further depth of how they are trying to address this issue. Especially for kids in middle school, there are so many changes in one’s body. Girls need these products, and it is such a shame that some girls cannot afford them. This is not just about “needy” kids; for these female products are considered luxury and are very expensive. So far, troop 20209 has gotten dozens of packages from across the nation. Using the power of social media, they have been able to share their project with thousands of people. The troop received thousands of pads, and they are expecting many more. These girls have been tirelessly working to help. Although girls at MMS may live in a completely different world compared to other towns, even in New Jersey, the scouts consider every girl in the world as sisters. This sisterhood is prepared to help the millions of girls who need feminine hygiene products. You can donate at http://www.sistertosisterperiod.org or follow @sistertosisterperiod on Instagram and Facebook.